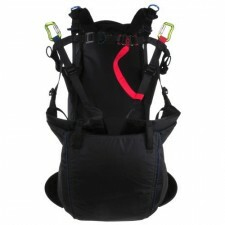 While wearing the harness, the "fast packing bag", invented by GIN, is still very useful in the zipped pocket on the right leg. 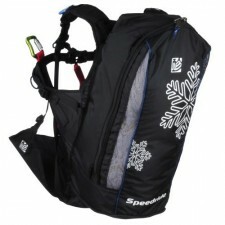 Use it to carry your bundled Nano while skiing between runs. 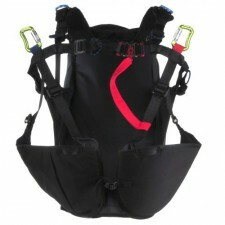 The Speedride harness introduces a new level of versatility. 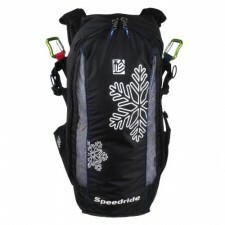 You can use it year round: speedflying, mountaineering, tandem, soaring. 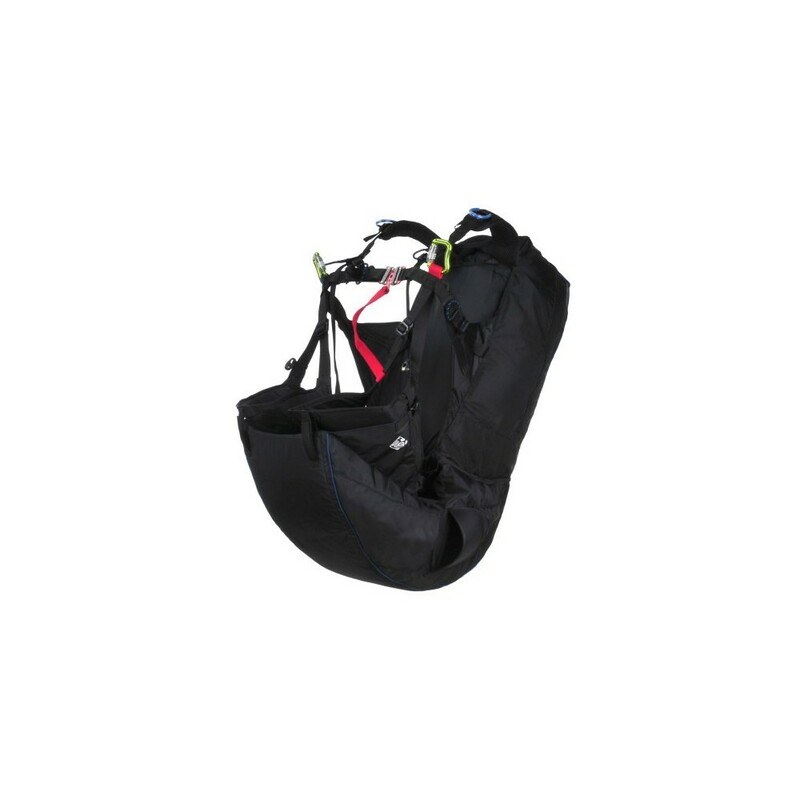 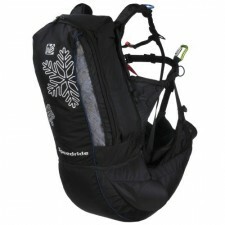 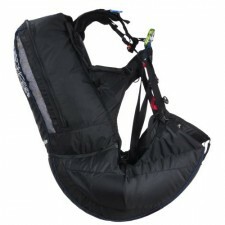 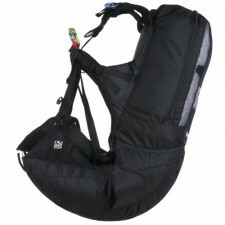 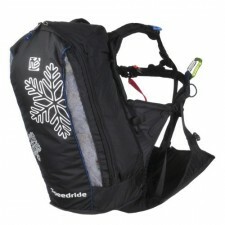 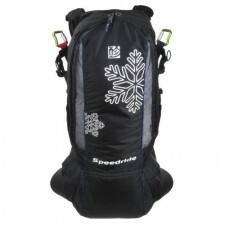 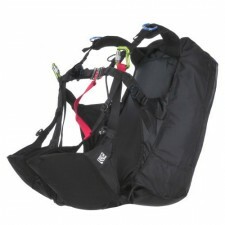 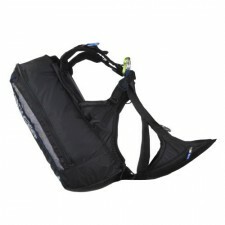 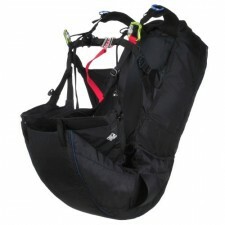 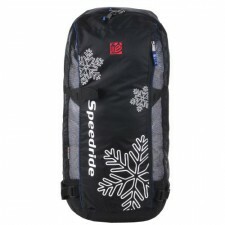 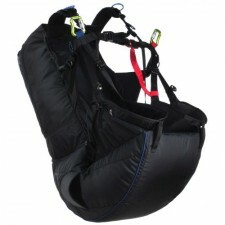 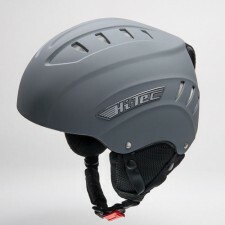 With new improvements like pulleys for a paragliding speed system, shoulder attachment points for a rescue parachute (including a covered "tunnel system" for the rescue bridle routing), and an increased container volume, the Speedride harness can be used for all your rides and flights.